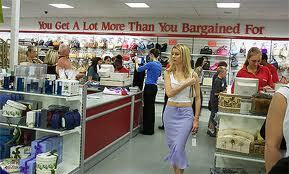 FRAMINGHAM, MA: The TJX Companies issued an RFP for digital support across its Marshalls and TJ Maxx brands. TJX PR manager Laura McDowell said the company is looking for an agency to handle blogger relations and digital influencer programs to support its traditional media relations efforts. The company is currently looking at small and mid-sized PR firms, not including incumbent digital agency Rocket XL. She said that the company worked with the agency for about three years and decided to conclude the relationship when the contract ended in 2010. McDowell explained that the company is looking for fresh ideas. "It's such a fast-moving space," she said. "It's all about their capabilities, what they're done, what they're doing, and how they see the space in the future, and innovative ideas in general and for our business." The review began this month, and McDowell expects that the company will make a decision in March. Regarding the length of the relationship, she said that the company is striving for a long-term agreement but that it could change depending on what happens during the review. At this point, it's a closed review. The company, which also owns HomeGoods, works with AOR Ogilvy PR Worldwide. Rocket XL did not immediately return a request for comment.